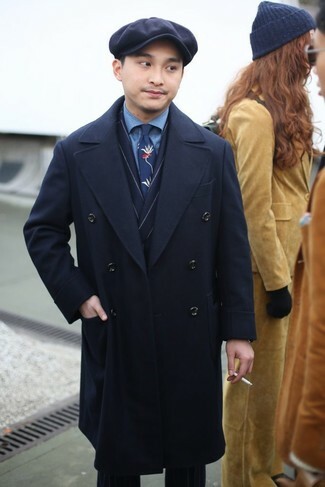 For a casually elegant outfit, consider wearing a blue denim jacket and Asos tapered suit pant in navy pinstripe from Asos — these two pieces play nicely together. Black suede derby shoes look awesome here. 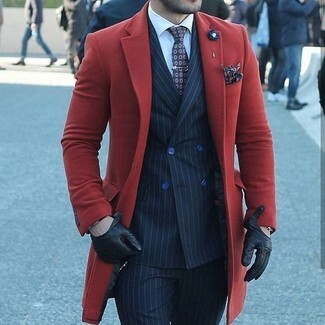 For a nothing less than incredibly stylish getup, consider pairing a red overcoat with Asos tapered suit pant in navy pinstripe from Asos. Make an olive military jacket and Asos tapered suit pant in navy pinstripe your outfit choice for a classic and refined silhouette. 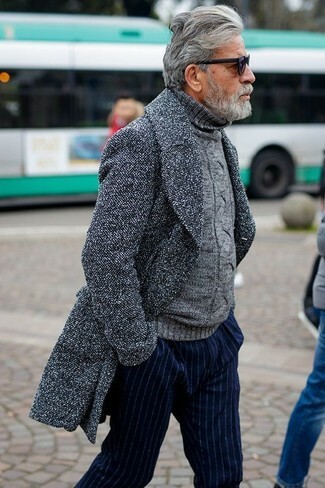 For a nothing less than incredibly stylish outfit, make a grey overcoat and navy vertical striped dress pants your outfit choice. This combination of a black leather bomber jacket and navy vertical striped dress pants is super easy to put together without a second thought, helping you look awesome and ready for anything without spending a ton of time combing through your closet. So as you can see, being a dapper dude doesn't take that much work. 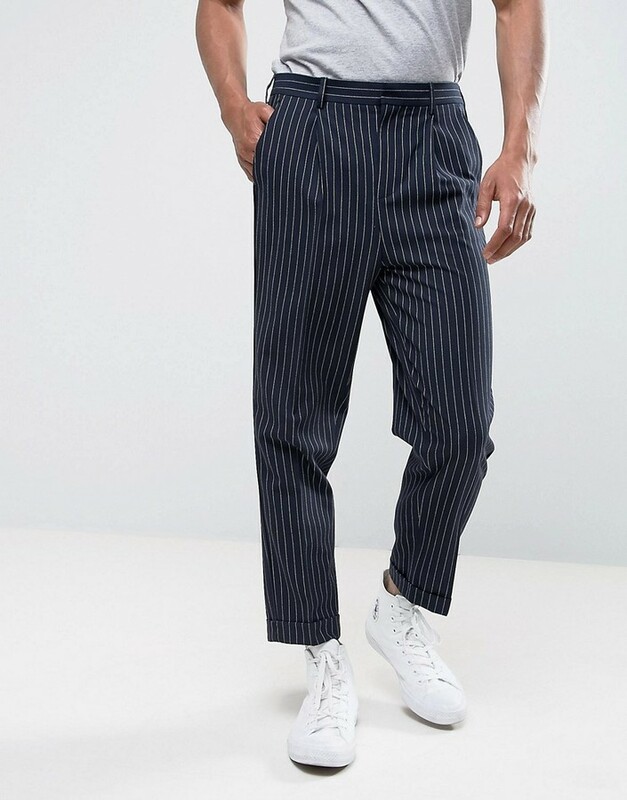 Just try pairing a black leather biker jacket with Asos tapered suit pant in navy pinstripe from Asos and you'll look awesome. 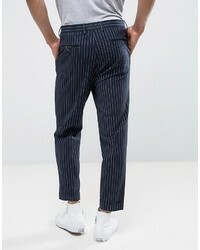 For a nothing less than incredibly stylish outfit, wear a navy vertical striped double breasted blazer and Asos tapered suit pant in navy pinstripe from Asos. Up the ante of your outfit with burgundy leather oxford shoes. 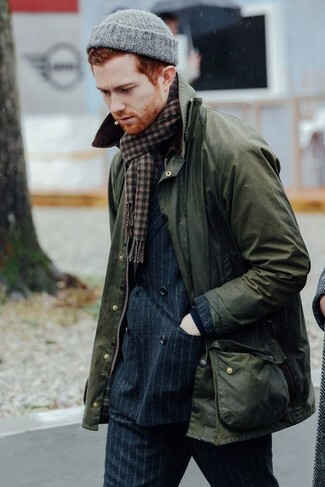 You'll be amazed at how extremely easy it is for any gent to get dressed like this. 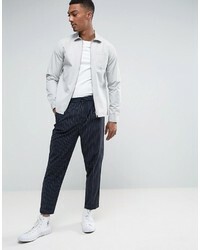 Just a white crew-neck t-shirt worn with Asos Tapered Suit Pant In Navy Pinstripe from Asos. 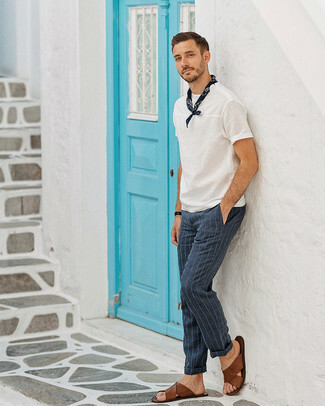 To add a dash of stylish casualness to your look, complement this outfit with a pair of brown leather sandals. 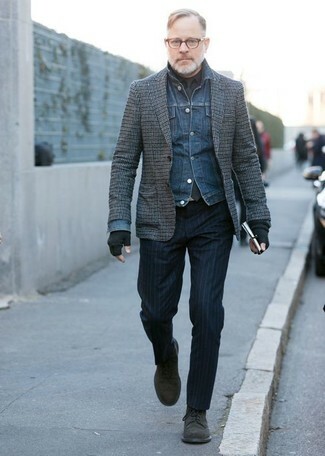 Opt for a black overcoat and Asos tapered suit pant in navy pinstripe for incredibly stylish attire.